Besigye addressing the media. In the background are party leaders. 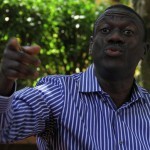 Opposition kingpin and Forum for Democratic Change presidential flag bearer in 2016 general elections, Kizza Besigye has said that his party will participate in the upcoming Local Council (LC1) elections. 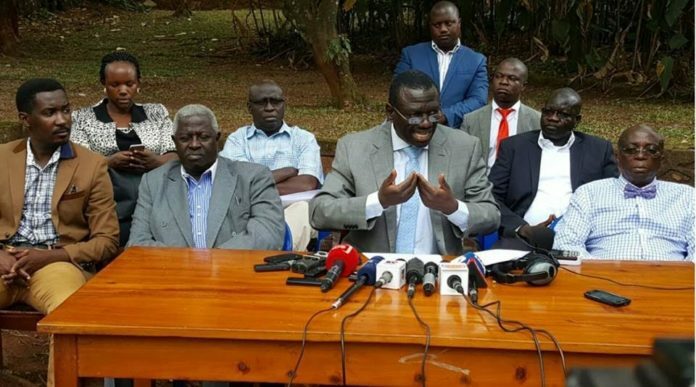 However, Dr.Besigye told media that they will participate in the elections despite being organized by the current electoral commission that he doesn’t believe in. “We will participate in the LC1 elections by defiance. Even if Museveni was declared EC Chairman (which he should become anyway), we will go into it,” he said. “We go for two reasons; to change the mind sets of our people by educating them why Injustice must be defeated and also, it is an opportunity for us to organise and set up grassroots network. What is clear and what we must challenge is the illegality. Lining behind candidates is illegal and we will challenge it, even if it means going to court, we will go”. 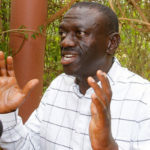 Speaking at his first media briefing this year held today along Katonga Road (Former 4GC offices), Besigye has called for the intervention of the international community into Uganda. 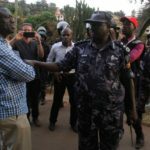 On the recent Kasese killings, Besigye said, “We should also invite the attention of International scrutiny of these excesses…. Because we are not a country in isolation. There are international covenants to which we are members. And we are going to be inviting these to apply more scrutiny to what the dictatorship is doing,” said. Among the conditions he set for this peaceful exit included a need for setting up of what he called a “carefully mediated dialogue process”. “The desirable and prudent way to have a transition from the current regime is through a carefully mediated dialogue process. Such a dialogue would engender an audit of the 2016 elections, the necessary constitutional, legal, political, institutional and administrative reforms.